The SP-285 D-Clip Screw from Custom Brackets is designed specifically for the CAB 9 and CAB 14 Accessory Mounting Bars. 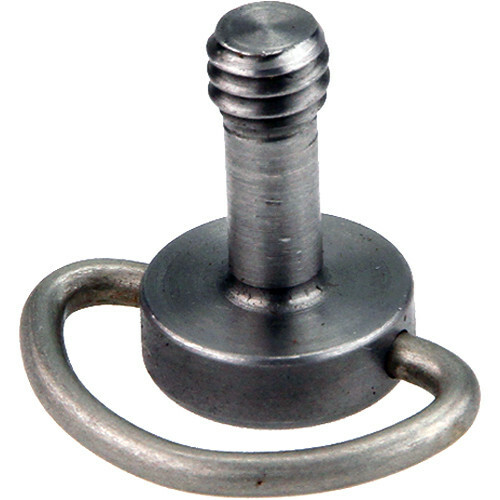 It is an all-metal, stainless steel screw with a 1/4"-20 thread. Box Dimensions (LxWxH) 4.0 x 3.0 x 2.0"
SP-285 D-Clip Screw is rated 5.0 out of 5 by 1. Rated 5 out of 5 by NEC from Special product hard to find Great for use in thicker mounts where the extended length will reach the attached item like a flash or other accessory. The integrated handle makes easy to attached without any tools. Creates enough tension to hold the device being attached.